This gorgeous, handcrafted, Western style bench will provide a classic, Western look to your entryway or hallway. The bench is designed without a back, and it has a comfortable, wide, padded seat. 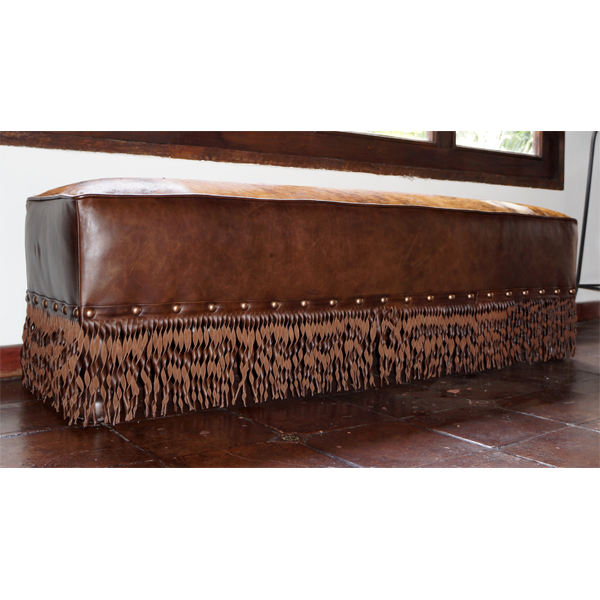 The seat is upholstered with patterned cowhide, bordered on all sides by a leather cord. 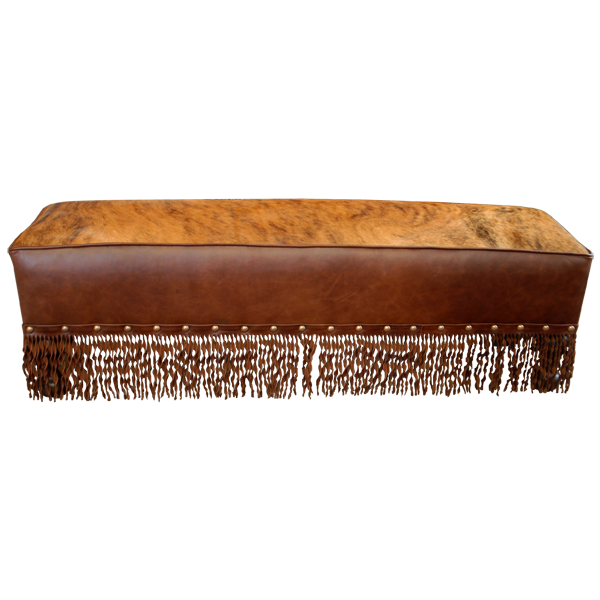 The sides of the bench are upholstered with rich, brown, pattered, full grain leather. The base of each side has an additional leather cord, and intermittently hand tacked to the cord are large, hand forged, iron, nail heads. 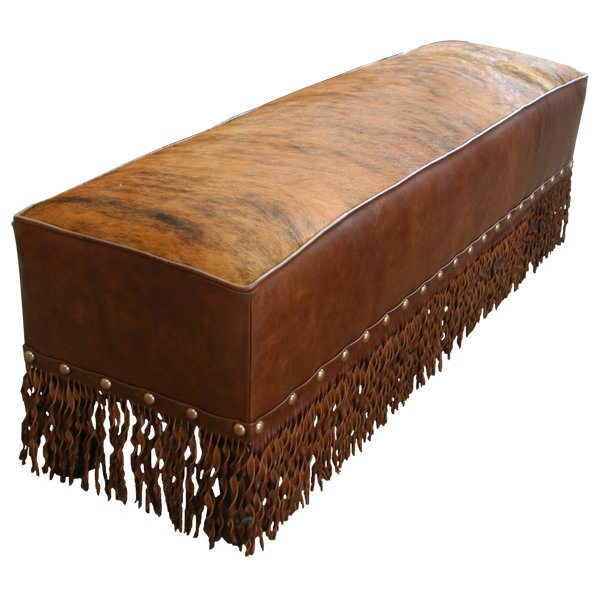 The bench is supported by robust, hand turned legs, which are hidden by curled, leather fringe affixed to the base of the bench. It is made with the best, sustainable, solid wood available, and it is 100% customizable.